FaceTime is great. Many traveling workers use it to keep in touch with spouses, or chat with the kids and tell them goodnight before they head off to bed while they’re out of town. It can also be a simple and useful tool for impromptu video conference calls with other iOS or Mac OS X users. The major downside to FaceTime has been that it only works over Wi-Fi connections, which greatly limits when and where it can actually be used. With iOS 6, users will be able to connect and chat over FaceTime anywhere they can connect with either Wi-Fi or over the cellular network. This is another feature that will appeal primarily to the travelers. Passbook is a central repository for store loyalty cards, rewards cards, movie or event tickets, airline boarding passes and more. Passbook can replace a wide variety of cards and printouts, and greatly simplify managing and finding them when you need them. One of the coolest things about Passbook is that it’s time and location aware. It would be nice enough to have your movie tickets or airline boarding passes stored in Passbook where you can easily find them, but Passbook also actually recognizes when you’ve arrived at the theater or airport and can automatically pop up the necessary “paperwork”. Business users will appreciate two new features of the iOS 6 Mail app—VIP and Flagged. Contacts can be designated as VIP, and any messages from them will be uniquely flagged in the main Inbox, as well as accessible in a separate VIP folder. The VIP feature should make it much easier to make sure you don’t miss important emails from your boss, spouse, co-workers, or key customers. The Flagged feature allows you to mark received messages as “flagged” so they’re easier to find and address. Items marked as Flagged appear in a separate Flagged smart mailbox, so you can quickly and easily find them again without having to scroll through the entire Inbox. iOS 6 has great new ways to deal with incoming calls aside from just ignoring them. If you’re in an important meeting, or trying to sleep at night you don’t want your iPhone buzzing or playing annoying noises. The Do Not Disturb feature lets you block incoming calls and notifications for a designated period of time. Alerts and notifications are queued up and delivered once the Do Not Disturb period expires. 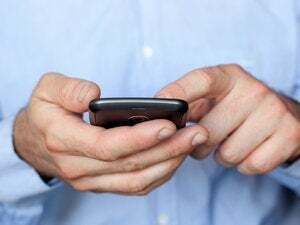 There’s also an option to allow calls from designated people through even when Do Not Disturb is activated, so you can eliminate frivolous calls while making sure you don’t miss a call from your boss or spouse. If you are in a meeting, and you get an incoming call, you may want to respond without answering it. iOS 6 has a new Reply with Message feature that allows you to send the call to voicemail, but also sends a text message to the caller so they at least know that you’re aware they called, and that you’ll contact them later. Alternately, you can tap the Remind Me Later option which will alert you an hour later or when you leave your current location to remind you to return the call. 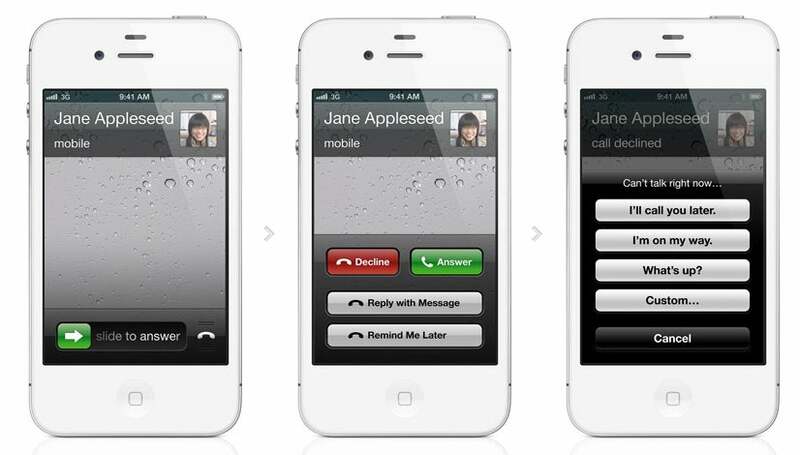 These are just some of the interesting features of iOS 6 and/or the iPhone 5. There’s also tighter Facebook integration, improvements to PhotoStream, and more. But, these are the features that businesses and business users should consider when deciding whether or not to deploy iPhones and iPads in the workplace, or if it’s worthwhile to upgrade existing iPhones or other smartphones to the new iPhone 5.